Substantial Games has soft launched their newest iPad game, The Ember Conflict, in Canada, as part of their public beta launch in limited countries. This action-packed real-time strategy game was two years in the making and features full 3D graphics, designed from the ground up for the iPad and tablets. The Ember Conflict is also available for download in: New Zealand, Hong Kong, Philippines, Singapore, Finland, Norway, Sweden and the Netherlands. If your country is not listed, you can try asking for a promo code via the company’s Facebook page to test it using Testflight. The game says it “works best” on the following devices running iOS 6.0 or higher: iPad Air 2, iPad Mini 3, iPad Air, iPad Mini 2, iPad (4th Gen.). You’ll also need a network connection to play the game. 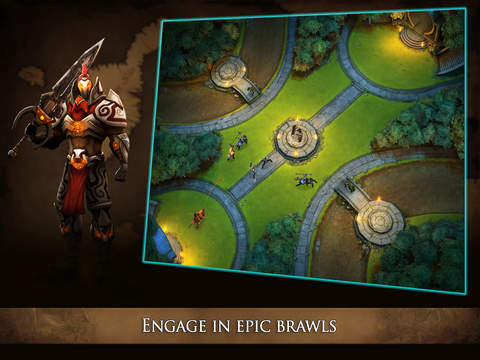 Click here to download The Ember Conflict for iPad in the App Store, it’s free.